Colleen M. Story is on a mission to inspire people from all walks of life to overcome modern-day challenges and find creative fulfillment. Her latest release, "Overwhelmed Writer Rescue," is full of practical, personalized solutions to help writers and other creative artists escape the tyranny of the to-do list and nurture the genius within. It was named Solo Medalist in the New Apple Book Awards (2018), and earned the Book by Book Pub Award for the best writing and publishing book in 2018. 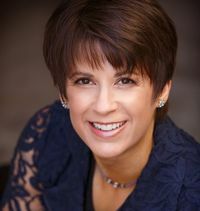 With over 20 years as a professional in the creative industry, Colleen has authored thousands of articles for publications like “Healthline” and “Women’s Health;” worked with high-profile clients like Gerber Baby Products and Kellogg’s; and ghostwritten b Colleen M. Story is on a mission to inspire people from all walks of life to overcome modern-day challenges and find creative fulfillment. Her latest release, "Overwhelmed Writer Rescue," is full of practical, personalized solutions to help writers and other creative artists escape the tyranny of the to-do list and nurture the genius within. It was named Solo Medalist in the New Apple Book Awards (2018), and earned the Book by Book Pub Award for the best writing and publishing book in 2018. With over 20 years as a professional in the creative industry, Colleen has authored thousands of articles for publications like “Healthline” and “Women’s Health;” worked with high-profile clients like Gerber Baby Products and Kellogg’s; and ghostwritten books on back pain, nutrition, and cancer recovery. 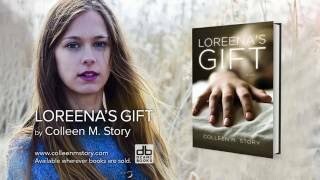 Her literary novel, "Loreena’s Gift," was an Idaho Author Awards first place winner, New Apple Solo Medalist winner, and Foreword Reviews’ INDIES Book of the Year Awards winner, among others. Colleen frequently serves as a keynote speaker and workshop leader, where she helps attendees remove mental and emotional blocks and tap into their unique creative powers. Her motivational website, Writing and Wellness (writingandwellness.com), serves as a robust informational resource for writers and other creative artists. My New Book, “Writer Get Noticed!” Releases Today! We’d love your help. Let us know what’s wrong with this preview of Sorcerer's Apprentice by Tahir Shah. We’d love your help. Let us know what’s wrong with this preview of The Light Between Oceans by M.L. Stedman. We’d love your help. Let us know what’s wrong with this preview of Bel Canto by Ann Patchett. We’d love your help. Let us know what’s wrong with this preview of Bridge of Sighs by Richard Russo. We’d love your help. Let us know what’s wrong with this preview of The Magic of Thinking Big by David J. Schwartz. We’d love your help. Let us know what’s wrong with this preview of Talk Like TED by Carmine Gallo. We’d love your help. Let us know what’s wrong with this preview of Compelling People by John Neffinger. We’d love your help. Let us know what’s wrong with this preview of This is the Story of a Happy Marriage by Ann Patchett.